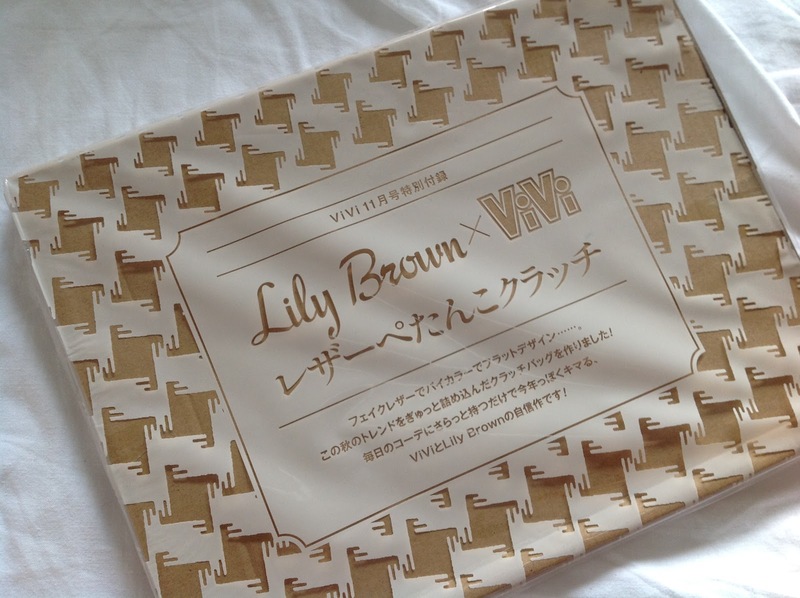 curls and mindy: Japanese Fashion Magazine ViVi + clutch freebie! What I like about Japanese fashion magazines is that there is a magazine that corresponds to each unique sense of style. This is my first time picking up ViVi magazine, and that was specifically because it came with a free clutch! 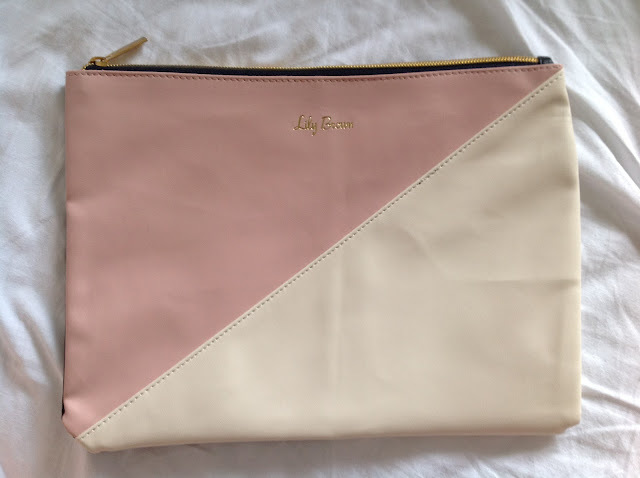 Getting a free bag/makeup bag a few times a year is customary in Japanese fashion magazines, similar to free cosmetic samples in the UK. 'Sweet or Cool? I love Both!!' Preach. The bag is actually quite cheap in quality, but I'd be an idiot if I wasn't expecting this. Regardless, it is quite a cute clutch, indeed. 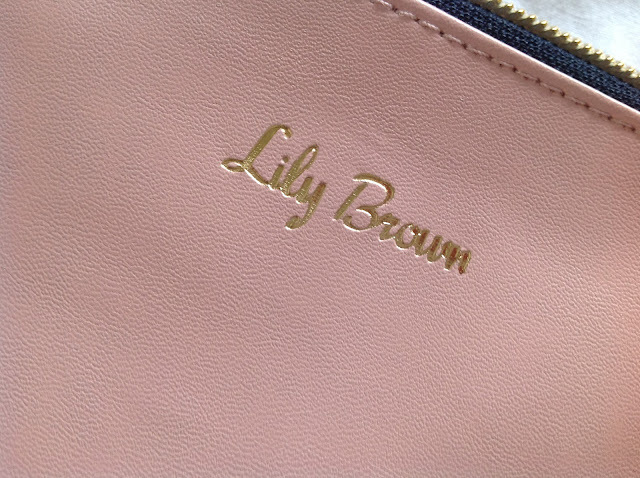 The magazine even noted that the dimensions are large enough to fit an ipad, so if you're looking for a cute cover that provides little to no protection, go for it! 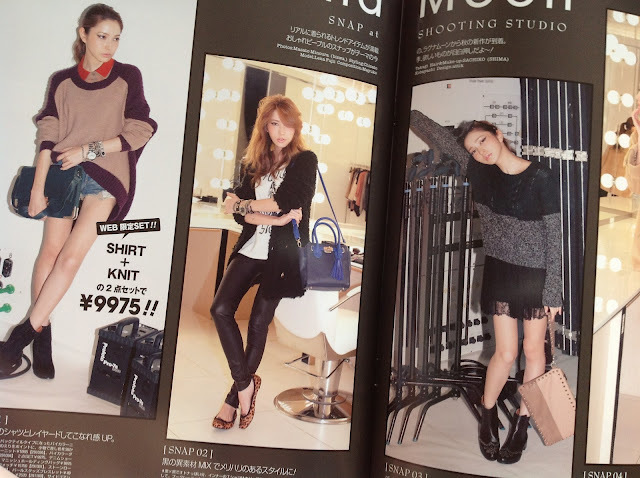 Another reason why I like Japanese fashion magazines is that a lot of focus is on the clothes. Trending items are pulled and paired with other items, essentially making a whole outfit around one item. The magazine is usually divided into sections, i.e. trending shoes, shirts, skirts, dresses, etc. They also have sections dedicated to makeup looks, hair, even nails. Every magazine usually has a set of fixed models and they appear in almost every issue. These models essentially become celebrities and the magazine will usually have sections dedicated to a the models' beauty secrets, beauty regimes etc. I personally really like ViVi because it is targeted for young adults. The fashion is similar to what is trending in the west (more specifically in the UK) so I really like this because I could never pull the cutesy Japanese-girl look although this mag is almost pushing it. 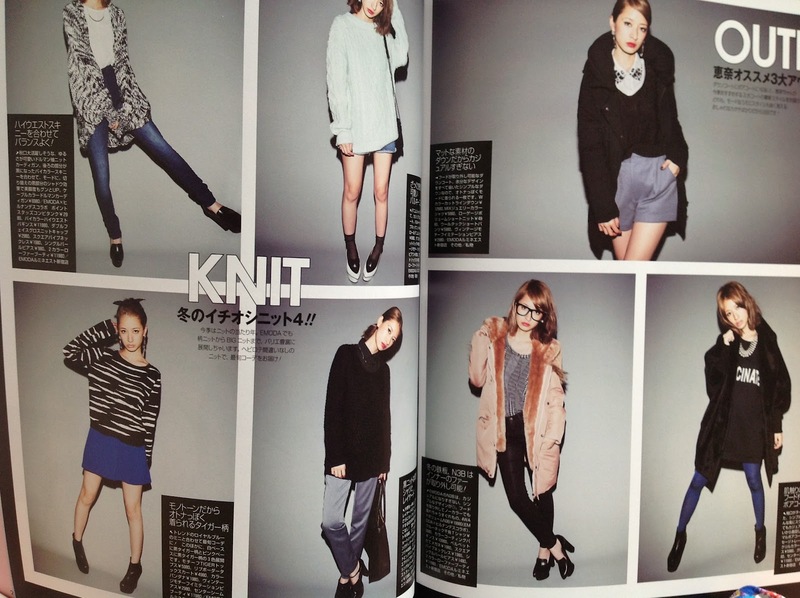 The layout of Japanese fashion magazines are also great for creating inspiration boards. AND! they have sections dedicated to street style; something I really really really enjoy. I think every magazine should have street style inserts that are not strictly limited to New York, etc. fashion week, thanks. all the girls in those magazines are so cute;) love your new clutch!!! sending love from las vegas!!! I actually REALLY enjoyed this post, I never picked up a japanese magazine before it's really interesting to now what's in it! 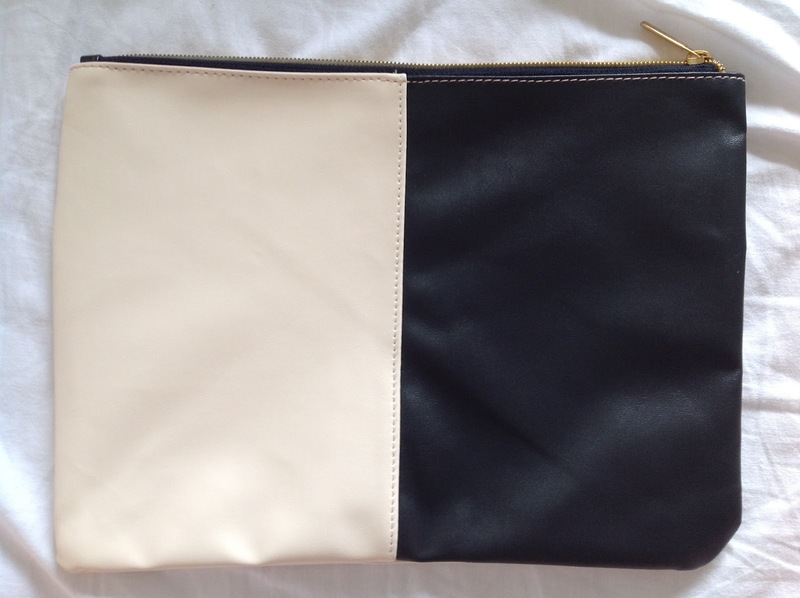 And 'd do anythign to get my hands on that clutch for my ipad it looks perfect! Its really amazing and informative blog!!! Thanku so much. 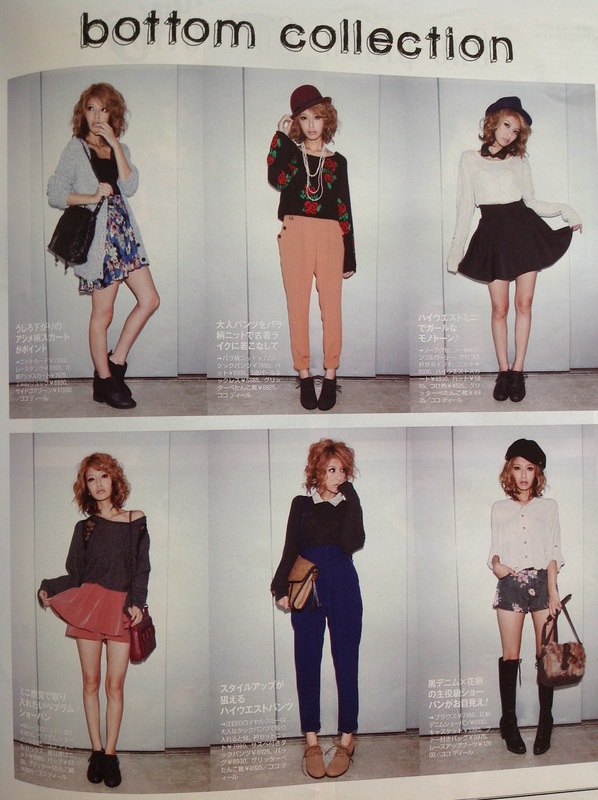 Here is something about Japanese style clothing. I love this post! It is really cool & i love how you showed this magazine. It's different, but i really enjoyed it. I just started following your blog & its wonderful.